Have you ever heard people saying, for example: that for practising Reiki you must dress in white? That you cannot receive Reiki or worse, attune students, when you have your menstruation? That you cannot receive Reiki, when you are already a Reiki master and the giver is only first or second level, that Mikao Usui was a Christian missionary….and so on….. I frequently get asked about things like that and am stunned sometimes, about the mis-concepts in and about Reiki. Thus people get a mistaken understanding about Reiki and students start to doubt if they do it right or how to respond to receivers questions. This is only to clarify some doubts and a selection of questions and comments I was told over the years; Frank Arjava Petter, world renowned Reiki teacher, investigator and author wrote about this topic an entire book, where you can find a lot more examples. 1. To start with the example above: A Reiki teacher has to wear white (and preferably cotton, linen and silk)…. Well, a teacher might not wear some psychodelic patterns in bright colours, when he/she is sitting in front of the students, because it might take attention away or be irritating for the eye; though there is no other reason. Wearing white has not been an issue in traditional Reiki. Just have a look at all the photos from Usui and Dr. Hayashis seminars…..
2. A woman can’t receive Reiki when she is menstruating and should not do attunements then… I did not find any mentioning about that anywhere; and why should there be any except that it can release menstruation pain such as cramps, backache… and as a giver…. Head shake…. 3. As a Reiki master/teacher I can only receive Reiki from another Reiki master, because otherwise lower energy gets into me….After the attunements, my students have the same energy I transmit. If I would not like to receive Reiki from my students, what did I learn and teach all the years… I love to receive Reiki from my students when we have some time left at the end of the class. 4. Mikao Usui was a Christian missionary. This was published since times of Takata (American/Japanese student of Dr. Hayashi, who spread Reiki to the world) and probably a mistake because of the language. There is absolutely no proof for that and then he would not have been buried in a Buddhist cemetery. 7. Reiki received from a master/teacher is more powerful than from a first level practitioner….. Who ever experienced a treatment from a dedicated first level, who is giving a lot and frequently Reiki and then from a Reiki master, who only uses it once in a while and/or focuses on teaching without giving sessions, then you know that the energy flow has nothing to do with the level. 8. As a Reiki teacher you do not need to give sessions anymore…. Looking at 7 and remembering something Chiyoko Yamaguchi said once: How can you be a teacher when you don’t give Reiki? In Japan the students learnt mostly by practising and the only purpose to teach was, to help others with their experience and that others could give Reiki. All Reiki master/teacher were giving Reiki. 9. You get attuned to the Reiki symbol and have to think or quietly say it during the attunement….. Tadao Yamaguchi said to this point: you get attuned to Reiki and not to a symbol. Very simple. 10. Once attuned and annoying your master or not behaving according what your master believes is necessary, he/she can take the attunement back. For me personally one of the worst things I have read and heard. In traditional (jikiden) Reiki we teach the idea behind the Reiju (attunement) and thus you will know, that this is absolutely impossible. Once attuned, always attuned. No matter who tells you anything different. 11. You can heal a group of people through distant healing….. You might be able to send energy to a group of people, though healing is limited to only one (or the most two) people (you have only two hands, right?) The way distant healing is taught in traditional Reiki, you will understand why it works this way. 12. To do Reiki training, master/teacher and students have to be clean. No smoking, no coffee, no meat, no alcohol….. Ok, in a Reiki class and smelling of cold smoke is not nice for fellow students and teacher. Receiving Reiki means, the body will work to eliminate toxins; does not really make sense to go out partying after class and to get drunk either. Having your regular coffee, tea, a glass of beer or wine afterwards with a steak will not erase the benefits of the day. To be in a seminar retreat with vegan or vegetarian organic food (or fasting), no toxins such as caffeine and nicotine and may be exercises as yoga or tai chi can be a welcoming extra but are not essential to get full benefits from the class. 13. You need to ask for permission to give Reiki….This is something still often told and students frequently enquire about this point when the term distant healing comes up. Reiki is giving healing love. Why should you ask to give love? And what about babies, people in coma, the baby in a pregnant woman? If you have ever given a treatment to the belly of a pregnant woman, then you would never think about asking the babies permission. They love it! 14. You cannot treat karma…..I heard this a couple of times and still wonder about this comment. With Reiki you treat the person in the moment of NOW, no matter where the problem comes from. Giving Reiki you work on the symptom as well as on the source of the problem. For the Buddhists’ everybody is a complete person with a soul. Treating the person you treat the soul as well and thus everything what comes with it. Very simple. 15. The last in the list and one of the most frequent questions is how you can protect yourself against the negative energy, which erases from the person during a Reiki session (which you can feel as pain etc. in your hands/arm…). This idea does not exist in traditional Reiki and once understanding the idea of the BYOSEN, the question will not come up again. I hope that I could help you with this short compilation of questions and doubts. Reiki is very simple, beautiful, extremely powerful and beneficial. Don’t doubt, just give it! You will not do any harm! 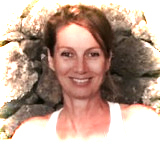 Nabila G. Welk, spiritual guide, therapist and coach. Jikiden Reiki shihan (master/teacher) and founder of the first official Jikiden Reiki branch in Spain in 2007.